From its sleek black, metallic design to its high-visibility, bright red beam, this laser pen is perfect for large rooms. The laser red dot is visible in all room conditions and up to 500 yards. Compact design fits right in your pocket. 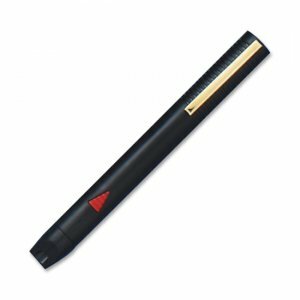 High-impact, Class 3A, pen-style laser pointer is made with high-impact black plastic and includes two AAA batteries.